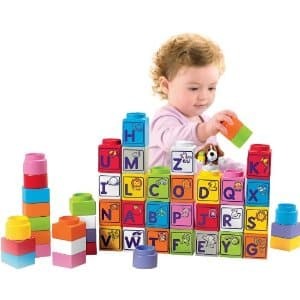 Click here to visit the Amazon site and you’ll be able to score Fisher-Price Little People Builders Stack ‘n Learn Alphabet Blocks for $6.38 (regularly $24.99). The same one is currently selling @ Walmart for $24.97. It also comes with free shipping if you have Amazon prime or spend $25+.